Yesterday night I slept thinking about what should I write for this contest. 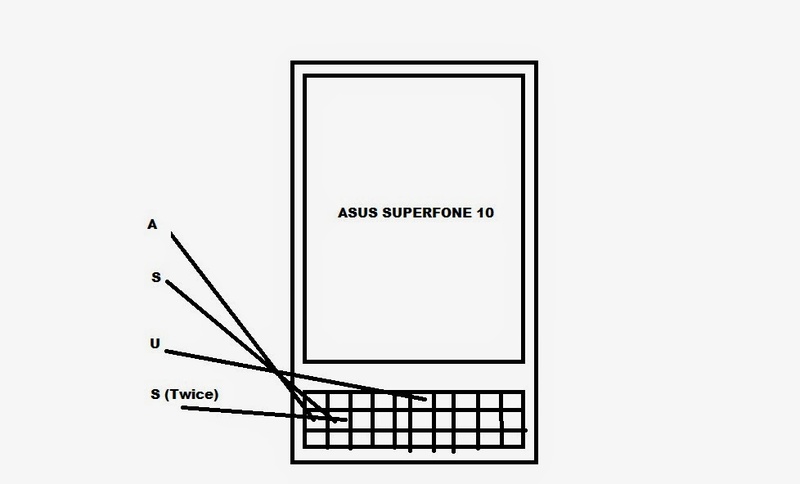 Thinking about just one superpower and that too for ASUS PHONE was not just enough. So, I thought about few of the superpowers which my phone should have so that I could see what others can’t see and do what others can’t do. Everybody thinks that he/she might have not done something (mistake) in the past or what will be their future in coming years. So, a superpower which can take you to any time past or future. A superpower that can change your size or shape. The power which can make you small or big in size so that you can go anywhere. A superpower that can change you to any animal or bird or any living being. A superpower that can make me travel with the speed of light. Imagine you are talking to someone and while talking you reach him in seconds. A superpower which can make me help others by signaling me of any crime happening and since I can travel with the speed of light I could easily reach there and help. A superpower which can give answer to any question which has a database of everything. A superpower that can understand sign languages. Next morning when I woke up at my usual time i.e. 8 AM and picked up my phone a voice came from my phone “Your phone has been transformed to the new ASUS SUPERFONE 10 powered by Indiblogger.in”, I couldn’t understand what was happening. The voice said “Press 0 for the manual”. Press “A” to travel to a time you wish to (Format DD/MM/YYYY HH:MM:SS). Press “S” to change your body size (in cms and duration in seconds). Press “S (Twice)” to help others at a remote location and “S(Thrice)” to return. Do not enter the keyword “Q (Thrice)” as this will restore the factory settings and you will be taken back to the Day 1 and with no superpowers left except power (4). Note: After travelling to time once you cannot travel to it again. Now, I thought of using my second superpower of changing my size. My AC pipe was leaking since days so I thought of decreasing my size and go into my AC pipe. I changed my size to fit into the pipe and entered the duration for 30 seconds. When I went into the pipe a horrible experience I had the whole pipe was stinking like hell and the pipe was leaking because of a small hole at the end. Finally I found the problem and still 5 seconds were left to be back to normal and a big Spider came so I could not do anything except running here and there. The spider was just half a meter away and the time elapsed thank god. Now, it was time to use the third superpower of changing my species. Down the street was a dog and I was really pissed off by that dog because every morning he use to sit on my car. I thought of telling to him not to do this in his language, silly dog. I changed my species and entered the duration I told him and he agreed not to sit on the car after a settlement of two biscuits a day “A dog will be a dog”. Still some seconds were left to be back to normal and another mishappening. I was seen by two more dogs and they started running towards me. I started thinking why the hell they are running towards me than I came to know that I am standing on a bone. I ran from there towards my home and thank god the time got over. Now, I really wanted to help somebody so I pressed “S (Twice)” suddenly I came near Karol Bagh Market (Read it on a shop) and I saw some thieves trying to rob a girl. She was wearing a gold chain and was shouting at the back lane. I went towards the thieves and saved that girl and what a co-incidence she was my girlfriend. She thanked me and I came back home. Sitting at home when I combined all the keyword of the superpowers the word which came out was “A S U S” a combination of superpowers. This is not the end of the story readers. Thinking about my girlfriend I slept at night. The next day when I opened the door I had my credit card statement of Rs. 10,000 to be paid in 2 days. I gave my money to my girlfriend and she was no longer with I was missing her a bit now. Also, I had that dog sitting at my door for his two biscuits. After, a thought I decided to restore the phone to its factory settings. I pressed Q (Thrice) and I woke up with an alarm. It was 8 AM in the morning and two missed calls from my girlfriend on phone and when I opened the door I saw the dog sitting on my car. So, what I experienced was a dream or was this because of the restoration of factory settings on my phone. Thinking about this I reached my office and everything was as usual boring. During, my lunch I received a phone call and I was shocked to listen. It was a voice saying help needed Press “S (Twice)” to reach the remote location. Really creative & relevant, Aditya! Yes, we need as these Superpowers ASAP!